Home to 2.5M+ talented developers. Trusted by 1000+ top enterprises. From supporting developers who shape technology to helping enterprises innovate at scale and hire tech talent, HackerEarth bridges the gap between tomorrow's tech powered growth and today's workforce. Innovate faster. Hire better. Grow bigger. Build faster. Code better. Win bigger. 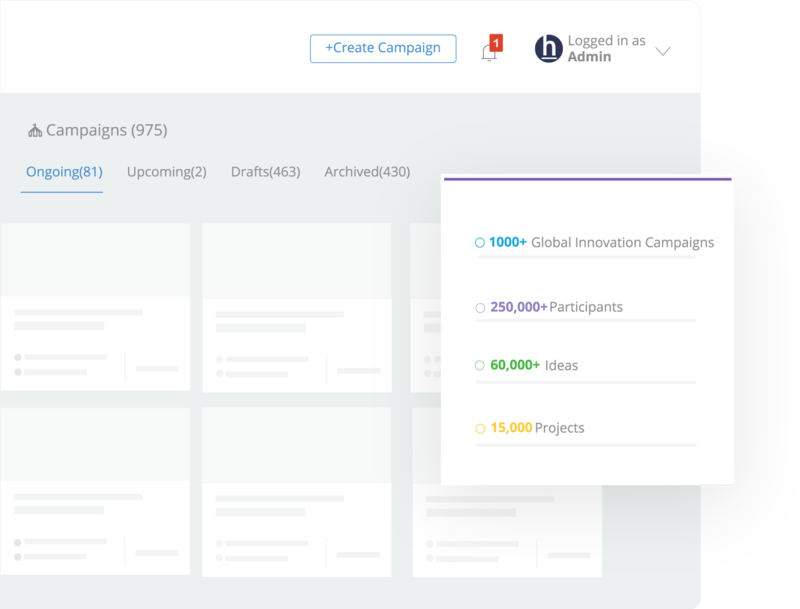 Conduct innovation campaigns and tap into the collective creativity of your workforce. Turn ideas into market-ready products through employee led hackathons. Foster a culture of innovation by promoting cross-functional collaboration. Collaborate with 2.5M+ developers and find path-breaking solutions through community-powered hackathons. Developers, are you looking to make a significant impact with your code ? From rethinking voice-enabled experiences to reimagining healthcare,our massive community of 2.5M+ developers has helped in redefining technology's role in our lives. "HackerEarth has enabled us to propel innovation within our business teams. It has helped us foster a culture of creative thinking and a large number of our employees have contributed to multiple hacks, many of which have resulted in roadmaps of future products." "With respect to innovation, the HackerEarth platform provided us with the ecosystem for connecting with startups and developers to create solutions using banking and external APIs." 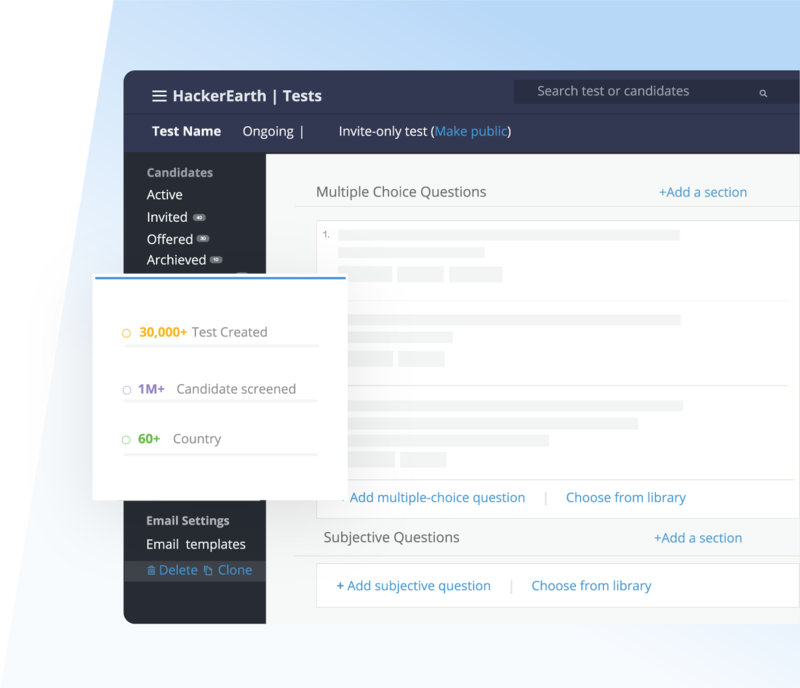 "HackerEarth has helped us create customized assessments on open source technologies. This has made hiring the talent easy. Conversion rates from assessments to actual hires have increased 10 fold!" "HackerEarth has been a good value-add to my recruitment process. It has helped in evaluating technical candidates by which we have saved time and bandwidth of our recruitment panel. Also, I like the ease with which we can create our own tests and customize them. Great going HackerEarth, keep rocking!" Whether you're looking to unlock innovation or plannning to hire the best tech talent, we can help you achieve your growth goals.